What a fantastic book. A huge amount of research and knowledge must have gone into its creation and what a rip-roaring page-turner it is! This is the second book in a trilogy but works equally well as a stand-alone. The characters and their backgrounds are fully explained so readers, like myself, who haven't yet read the first book, are not at a disadvantage. This book is definitely among the cream of the crop in its genre and well worth seeking out. My thanks to author Dominic Selwood for providing a copy of this book. 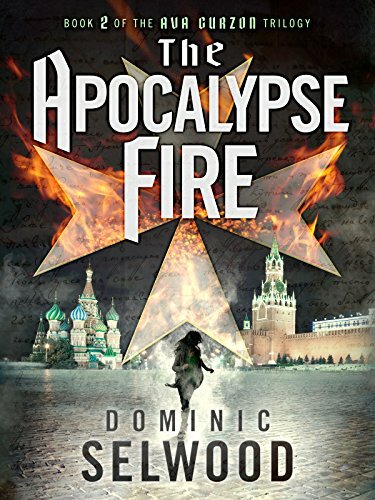 When the Turin Shroud is stolen in a violent assault, archaeologist and former spy Ava Curzon is plunged into a desperate struggle against an apocalyptic Russian cult. Recruited by the UK’s clandestine MI13 intelligence agency – and aided by the Vatican’s security division and her former colleague Ferguson – Ava is sucked into a world of dark extremism and Biblical secrets.